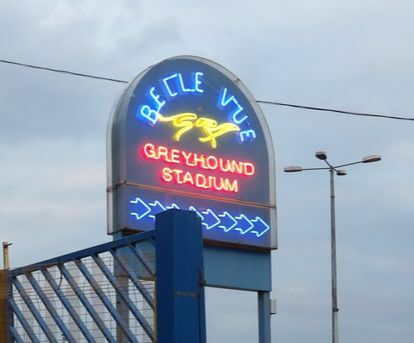 ​​2015, my first visit to a greyhound track. To understand the greyhound racing industry, you sometimes need to force yourself to breathe the same air as those who participate in it or fund it, even if the air is polluted. You get on with it, even it it’s highly unsettling. Walking through the hallway feels familiar, it took me back to an earlier visit to the York Dungeons: dark, claustrophobic and a weird musty stench in the air. Then a punter passes, it was a little like smelling salts. A sudden whiff of Old Spice reaches for the back of my throat and quickly wakes me up to the reality of where I am, but I’m almost appreciative that it momentarily disguises the stale smell in the air. I quickly escape it, walking towards the bar, and am then met with silence: 'Do they recognise me, or do I just look out of place??' I tried to dress down. The drunk middle-aged guy in a brown suit leaning across the bar smells combustible. While ordering the cheapest drink possible to avoid funding the misery, you can't help but notice the guy is out on his lonesome, eyeing up the young chavs in short skirts while lapping up the smell of cheap perfume around him, clearly not there for the racing but likely trying to recapture some of his youth. Make no mistake, the days when greyhound racing attracted the crowds are no more. Sadly some of the older generation are stuck in a time warp and insist on trying to rekindle the past, believing there is still hope, struggling to let go of their passion and unable to grasp that the days where a night at the dogs was once a trend are now well and truly gone. In this era, only a few chavs and people unable to afford anything more than a cheap burger and drink remain to fund the long-lost dream. Mum, whose kids appear to be deprived of any attention, so much so that they sit quietly staring at sweet nothing, while Mum and her pals guzzle their drinks and gorge on food that looks on a par with a cheap take away... peas all over the table. The women look comfortable, possibly regulars! The handlers push the dogs into the traps (some trainers refer to them as coffin boxes), forcing them in from their rear ends, one dog hesitates, another handler helps her to tackle the dog into position. Within seconds they're racing towards the first bend, the insider moves to the outside crossing the other dogs who struggle to swerve and avoid bumping him. It all happens so quickly, my heart beats in my throat. Then they're through, they survived the most lethal bend, the little black dog at the back struggles to keep up with the others, he's lengths behind. So many dark thoughts at once: 'What if he keeps failing? ', 'Will they kill him? ', 'The waiting lists for rescue are so long, will they wait, will they pay the fees?' I try to switch off, keeping my professional head on. The dogs finish, they all got to survive this race, I give a sigh of relief. God help them next time. There are so many places to take children and enrich them, their little minds like sponges taking in everything and everyone around them, a perfect time to make everlasting memories. Yet these unfortunate children miss out, they are being terribly influenced and likely to grow up thinking that gambling and drinking is the best road to take, or even the norm to use animals for their own purposes. I look at one of the other children and another young face comes to mind, that of a young girl who cried when we gave her a leaflet about greyhound racing. We were running a street stall a year earlier and a mother and daughter approached us. 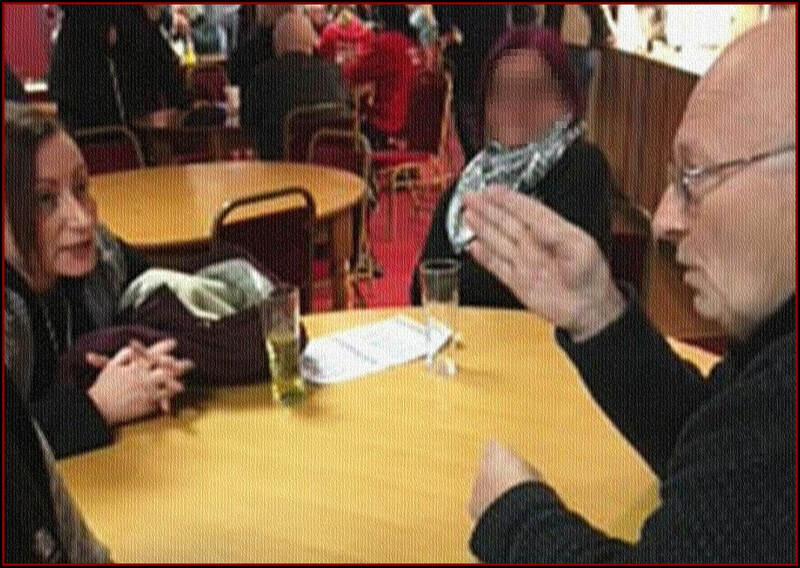 As we offered a leaflet, the mother told us how she could never forgive herself for taking her young daughter to the track: a dog had fallen that evening and the daughter clearly hadn't forgotten what she had witnessed. The mother had been unaware of the dangers to the dogs while racing. A tear trickled down the girl's face, clearly upset on reflection of what they had seen. It took a dog to suffer for them to realise their wrongs, but surely while greyhound racing still exists, every track should carry a warning at the gates to ensure people are aware of what they and their children might see and how it might affect them afterwards. Paying an entrance fee wasn't part of the plan but we felt we had to act immediately on information that had come our way. The exterior of the building looked like a 70s labour club, on the inside it was like a cross between Phoenix Nights and an older man’s working club. Bright red carpet, with 80s chairs and tables lined alongside a row of small windows that looked out on to the track. Opposite were chip shop style fryers and ovens that flowed all the way down one side of the room, and in the centre were small veneer looking tables with people sat around chatting. There was no music. As expected, there was barely anyone under the age of 50. A group of young girls dressed up on a hen night strutted past, looking quite out of place, due to their age and their obvious efforts in their appearance. My first thought was what a waste, you get one chance of a hen night and you blow it!! It took me back to when I was younger, I would never have dreamed of going somewhere so gloomy, even for a quick drink. For a brief moment, I felt pity, maybe they couldn't afford anywhere else, but the entrance fee could have bought them a few drinks in a local pub, surely that would have been a bit more lively than somewhere with no class or partying atmosphere? We popped into the ladies’ toilets, and what looked like a member of staff in uniform came out of a cubicle. She quickly left without even running her hands under the tap! I was unsure whether she was serving food or drink but either way she made no effort and had no shame. I felt repulsed and held a tissue over the door handle as I left behind her. As we sat at the table, Mr Curran came along and stood behind us, he had no idea who I was. I recognised him from video footage taken at a protest which was held by pro-racers outside the Greyhound Board of Great Britain head office in London, when Curran worked as a director. 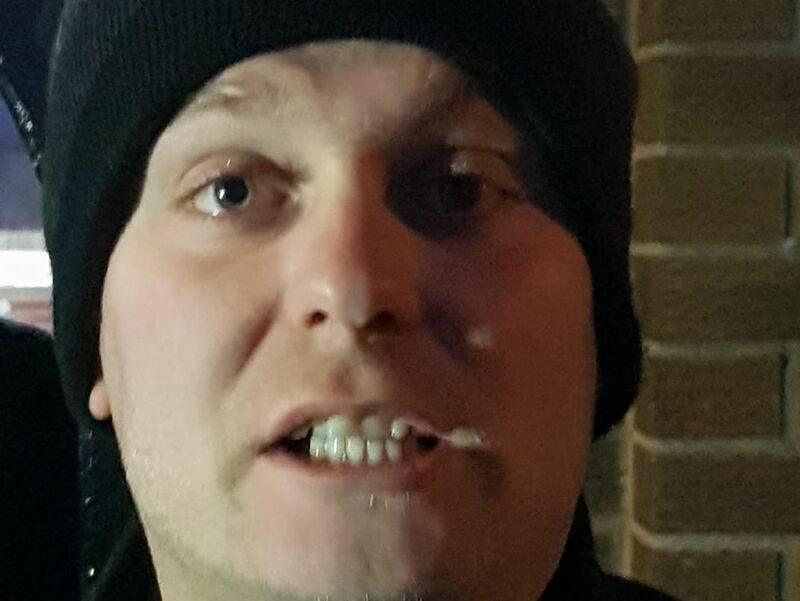 Curran was challenged by a protester and had started to shout repeatedly in the man’s face, "F**k off, F**k off you" He showed signs of aggressive behaviour that day so we were well aware of who we were dealing with. "Mr Curran?" I said, looking across at him. "Can I have a word?" He walked towards us and sat opposite me, I immediately stated my concerns. "One of your trainers, who is contracted to your track, has very recently destroyed a dog with a treatable injury." He shrugged, "And who are you?" I dismissed his question and smiled. He very oddly began to tell me about his past, his childhood and his family background. I tried to interrupt but he insisted I let him finish. I let him continue in hope we could try and reason with him. I wasn't absorbing any of the detail he was spouting about himself as I had no interest whatsoever in him, my only interest was in the welfare of the dogs. I asked if he would kindly speak to the trainer concerned, and if a compromise could be brought between us to arrange future rescue for the particular trainer’s dogs. He bluntly told me to take my concerns to the GBGB, and showed no interest in what I had to say. I stayed firm and asked that he heard what I had to say. After all, I had let him speak without interrupting. "You’re asking me to take this to the GBGB, knowing it isn't against rules to destroy a dog, it’s immoral and you’re responsible for the reputation of your track." He walked away and began calling for Mark Siddall. Instead he returned with Security. He sat back in his seat and glared at me in anger, his lips quivering. "What’s your name?" he asked. I smiled and replied "Rita." I had no reason to lie. I had gone to him with a legitimate request that I never got to fully announce. If he agreed to arrange rescue for the dogs, he would hear no more. He jumped out of his chair and insisted we left immediately. I was told one of the security guards was Mr Curran’s grandson, he had hidden his camera and attempted to take my photo without me noticing. Not like I cared, but I asked him to remove my photo from his phone, he refused so as I left the premises, I returned the deed and took a photo of him, he unsuccessfully tried to hide his face. As we left the track, it was minus 3 degrees and the dogs were about to begin racing. We took note of the big banner outside the track: "Kinsley provide all our ex-racers a retirement home, with over 200 homed in 2017/18." believe was a fully treatable injury. How many more?? ?